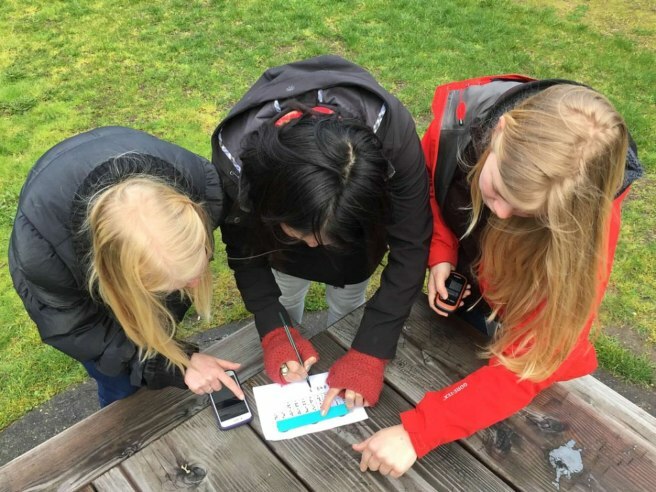 This article was written by Geocaching superstar and Geocaching HQ employee, Cathy (Prying Pandora). Do you look at Mystery Caches, also known as Puzzle Caches, and have no idea where to start? You’re not the only one. Many geocachers feel overwhelmed by Mystery/Puzzle Caches, but they’re not as scary as they appear. You just need to begin collecting your own “puzzling bag of tricks” to help you solve them. What should you keep in your puzzling bag of tricks? Think of the “tricks” as what you learn from each puzzle you solve. Many puzzles use the same ideas, so if you solve one, you can often pull that same trick out again and solve another similar puzzle. The more tricks you put in your bag, the easier Mystery/Puzzle Caches will be to solve. You will never stop finding new tricks to put in your bag, no matter how long you’ve been solving puzzles. Start with Mystery/Puzzle Caches with low difficulty ratings. Solve puzzles based on something you’re familiar with. For example, if you know a lot about history, you might be able to solve a history puzzle more easily than a complicated math puzzle. Find a partner who is good at things you struggle with. Together, you can fill in each other’s gaps. 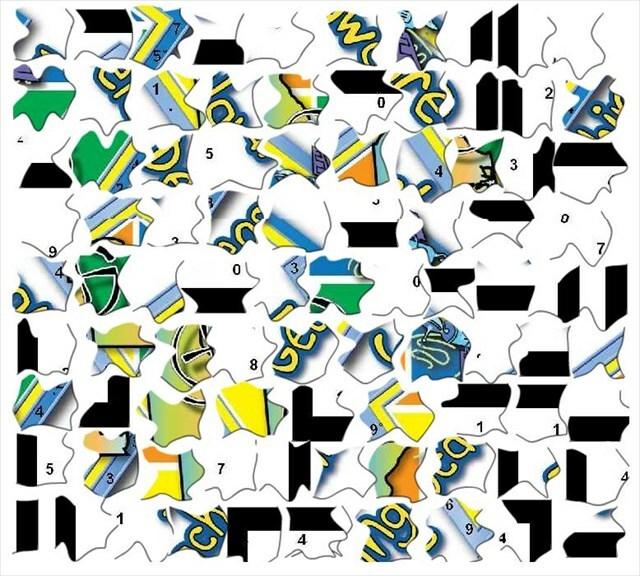 Analytical/methodical + creative/artistic = wide range of puzzle types. Each can see and work through things the other can’t. Use a PC or laptop rather than your phone. There are some puzzles you cannot solve with a phone alone. Google and other search engines are your friend. Attend geocaching events and ask more experienced geocachers for help. Geocachers enjoy helping other geocachers. Highlighted text. 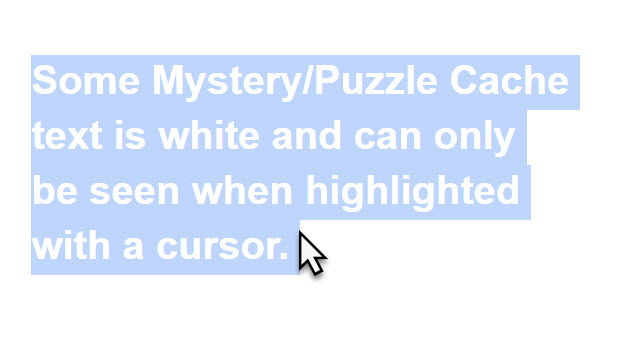 Some Mystery/Puzzle Caches use white font on the page that can only be seen when highlighted. Run your computer mouse along the entire cache page including text and images. If your cursor changes from an arrow to a pointed finger, you’ll know you passed over a hidden link. Source code. Many times clues are hidden in the coding for a cache page. Depending on your browser, view the source code for that cache page. To find possible clues, choose a word/phrase from the description and use the Ctrl+F function. This will point you to the areas where a message may be hiding. Other languages. Some Mystery/Puzzle caches want you to “decode” other languages. Pasting the text into an online translator and converting it to your language often does the trick. Binary numbers and other bases. Use an online reference such as Purple Math that may help you with these types of mathematical stumpers. Local latitude and longitude. For example, Seattle, Washington, is at 47° North and 122° West. If you solve puzzles in Seattle and something you try makes a 47 or 122, keep going and it will likely give you the rest of the coordinates. Some Mystery/Puzzle Cache text is white and can only be seen when highlighted with a cursor. There are many more! 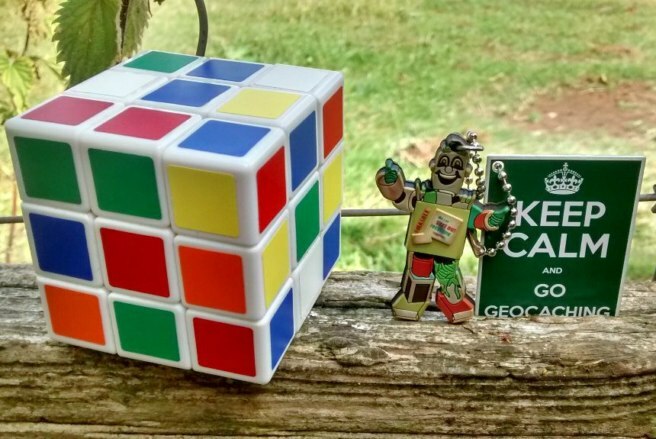 Do an online search for “geocaching puzzle solving tools”. Now that you are armed with some basic tricks, go forth, and happy puzzling!